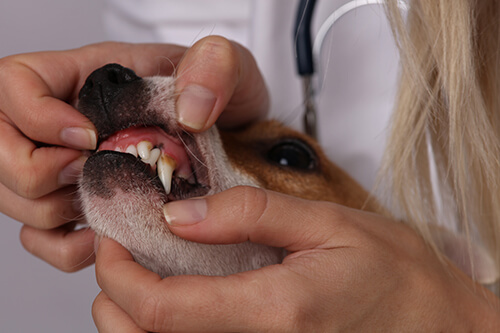 Dental health is very important to every pet’s overall wellbeing. 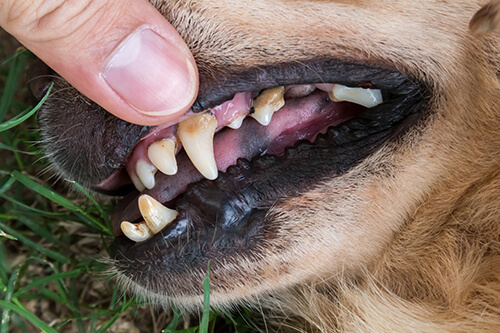 Just like humans, dental problems can cause a lot of pain and unnecessary suffering for our four-legged friends. Is extremely common in dogs and cats. It begins when food particles and saliva accumulate on the teeth, forming a soft plaque that later hardens to tartar. If the tartar is not removed, gums can become inflamed and pus can appear at the gum line, this separates the tooth from the gum, which allows a further build-up of bacteria eventually leading to gingivitis and periodontal disease. Are more susceptible to periodontal disease because their teeth tend to be jammed together in their tiny mouths. Food is easily caught between the teeth, and this causes bacteria to build up. 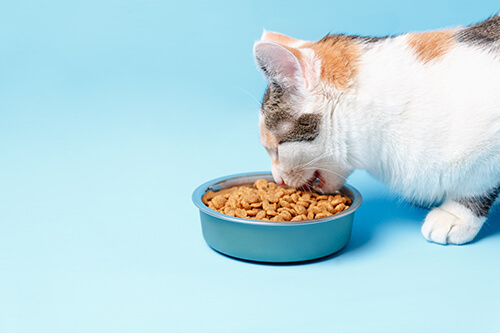 Feeding some dry food and supplementing the diet with raw meaty bones can help prevent dental disease by providing chewing action, which in turn helps to clean teeth and gums. 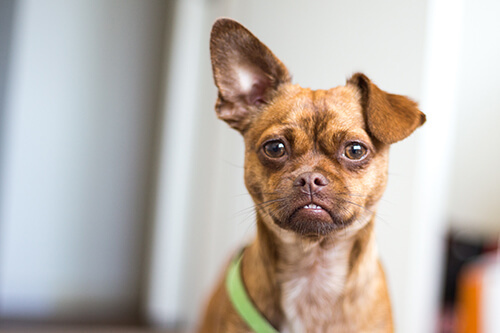 Raw chicken necks can be good for cats and small dogs, larger dogs can have lamb or beef shank bones. Never feed cooked bones as they tend to splinter and can get caught in the throat or gut. Some dogs can’t tolerate bones as they cause diarrhoea, in this situation dental treats may be useful in place of bones. It may sound strange, but many dogs and cats can be trained to enjoy having their teeth brushed. 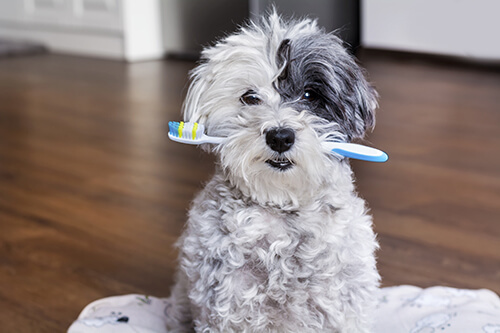 It’s important to only use products designed for pet use, such as special finger toothbrushes and flavoured toothpastes that help kill bacteria and break down plaque. The key is to start brushing from a very young age so that your pet gets used to this as part of their regular routine. Start by simply massaging your pet’s gums with your fingertip and give plenty of rewards when you pet accepts having their mouth handled and teeth attended to. 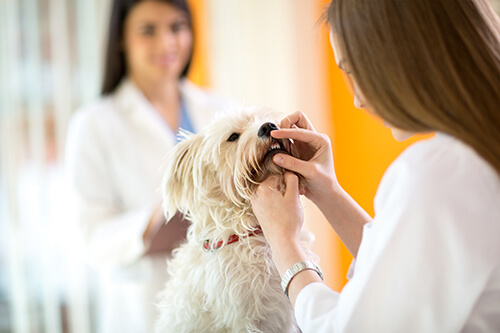 Dental issues in pets can become quite advanced before owners notice any outward signs of dental disease, so it’s important to have your pet’s teeth checked annually by your vet. They may recommend ultrasonic scaling to clean teeth and below the gum margin where plaque accumulates. Occasionally teeth may need to be removed. The vet may also recommend that pets be fed a special diet to help clean the tooth surface while they eat.